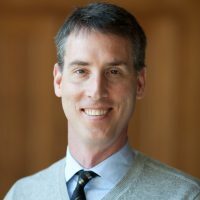 Dr. Jason M. Sutherland is an Associate Professor in the University of British Columbia’s (UBC) School of Population and Public Health, Faculty of Medicine. Dr. Sutherland is a Scholar of the Michael Smith Foundation for Health Research, fulltime faculty in the Centre for Health Services and Policy Research and is the Program Head, Health Services and Outcomes at the Centre for Health Evaluation and Outcome Sciences in Vancouver. Dr. Sutherland’s research falls into the broad categories of health system performance and clinical/surgical outcomes. He has been studying funding policy, methods for improving cross-continuum care, and health systems’ variations in efficiency, effectiveness and quality of care. He has been leading research evaluating patients’ outcomes from surgery, measuring risk of adverse events, effects of wait times, gains in health and cost-effectiveness.